Y’all, I have a six month old! How in the world has it already been SIX MONTHS??? I’m seriously confused – okay, not “seriously”, but time has for real flown by and our sweet boy is absolutely thriving. Month six was pretty glorious. Cory and I got some baby-free time to celebrate his birthday, and Landon got to spoil his grandparents for grandparents’ day! It truly is an amazing sight to see my parents with my son. I’m so in love with their bond. And he also got some quality time in with his Auntie! 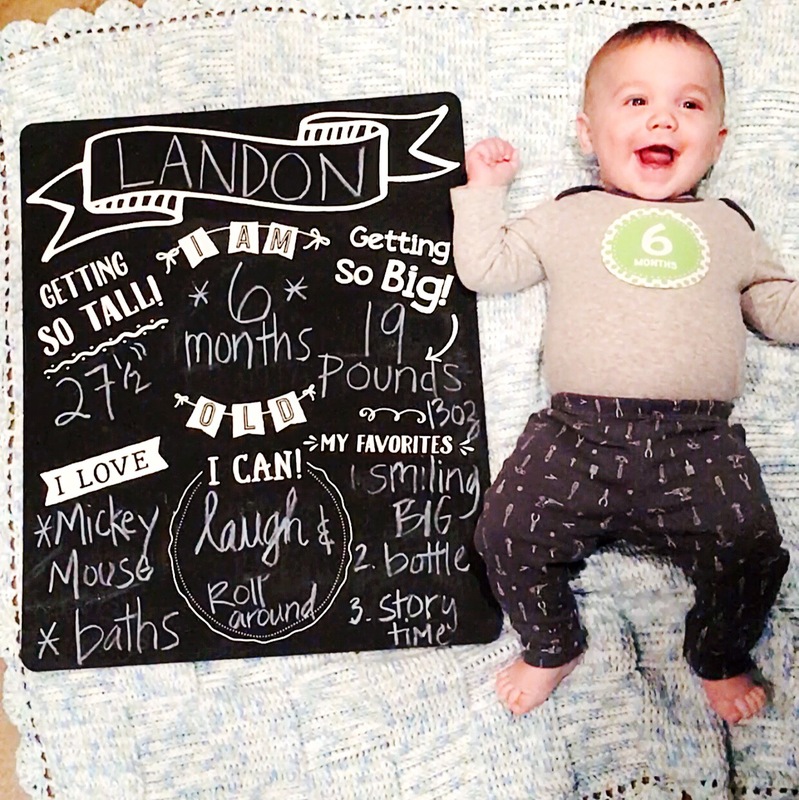 My sister babysat Landon overnight by herself for the first time this past month…and survived! I knew she would, but it’s understandably nerve-wracking to care for someone else’s baby all by yourself overnight. But she did fantastic and I absolutely love the bond she has with my son. Be still my heart – my family loves on our little guy so fiercely and I am over the moon blessed. 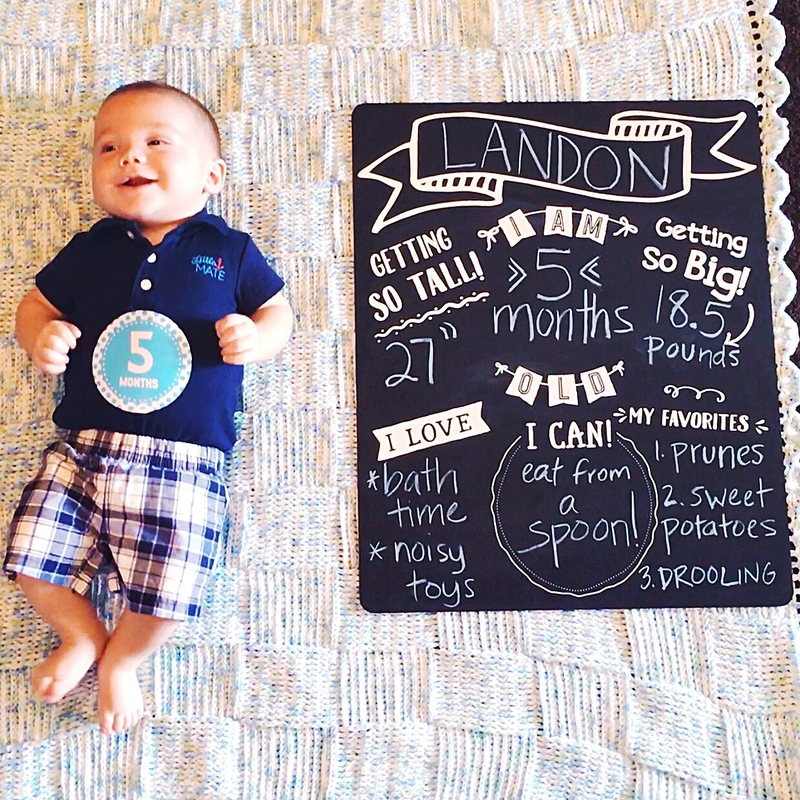 We’ve officially survived FIVE MONTHS with our sweet boy! Month five was one filled with lots of family and snuggles. Landon got sick right after Hurricane Harvey devastated the Texas coast, and thankfully, we were able to reach his doctor’s office to have him checked out. He was diagnosed with RSV Bronchitis and double ear infections – and my mama heart absolutely broke upon hearing the news. We added two new medicines to his routine and the follow up visit resulted in beginning breathing treatments! Our sweet boy is THREE MONTHS OLD today! How in the world did that happen?! We are finally on a pretty good routine right now, only making slight adjustments to things as we go. 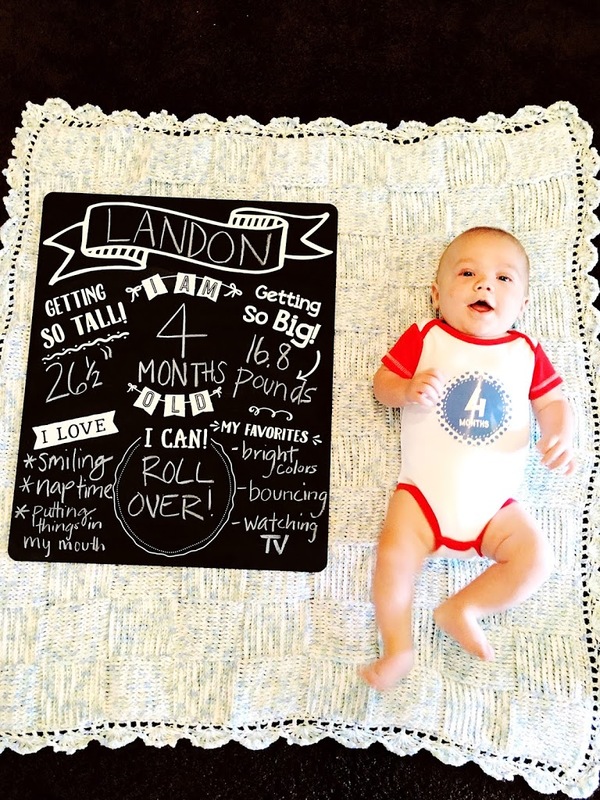 Thankfully, Landon is an amazing car baby, considering he’s in it at least 3 hours every day! He’s starting to really look out the window (what he can see anyway) watching as things go by and it really holds his attention. But for the most part he sleeps while in the car.